Learning management systems (LMSs) are software platforms for instructors to manage and organize educational courses online and provide students a single location for all course material. LMSs are used to help streamline information between educational institutions and students over the internet, allowing for increased learning capabilities that are more accessible to the general public. LMSs are comprised of a document management component and communication capability, allowing teachers to upload course files such as rubrics, assignments, calendars, and gradebooks, as well as communicate with students via chatrooms or forums. 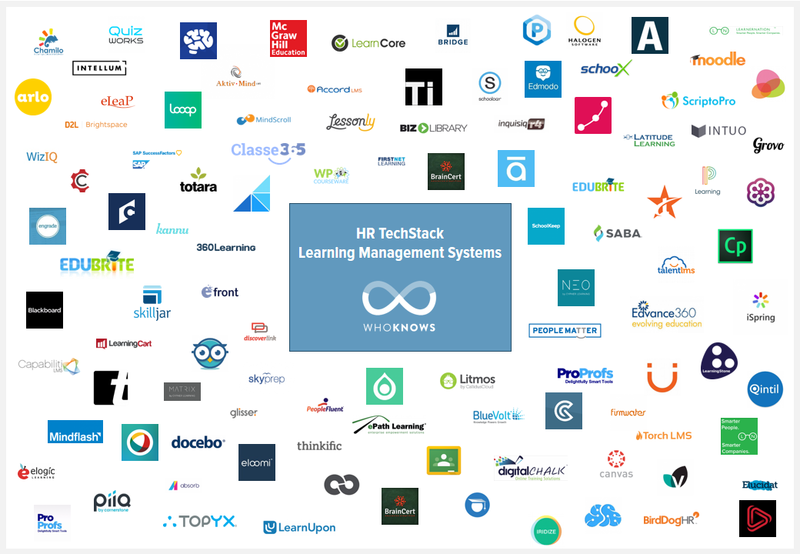 There are hundreds of software & cloud based apps for modern LMS, at WhoKnows we have handpicked 110 most popular, widely used & recognized vendors in the market. Note: The list is not in any particular order, and the list is constantly updated, bookmark this page for your future reference & fresh data. 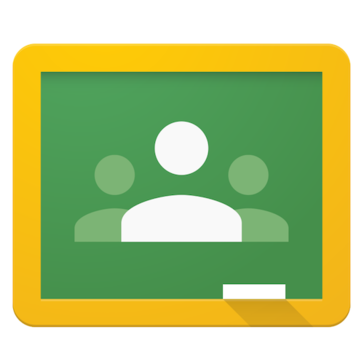 Classroom is a tool in Google Apps for Education that helps teachers create and organize assignments quickly, provide feedback efficiently, and easily communicate with their classes. Through open, usable, cloud-based technologies, Canvas enables easy integration of the content, tools, and services that teachers need and students want. 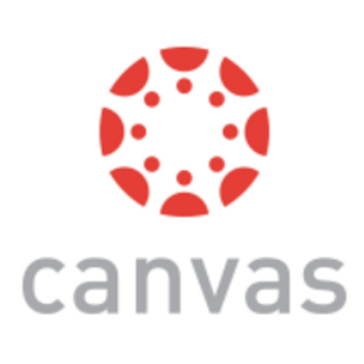 In addition to the Canvas learning management system (LMS), Instructure offers Canvas Commons, the learning object repository (LOR) that actually gets used; Canvas Catalog, the customizable, all-in-one course catalog, registration system, and payment gateway; and Canvas Network, an index of open, online courses taught by educators everywhere. Your sales, service and partner teams can easily receive just-in-time training; improving skills, competency and product knowledge. It is fully customizable to your own needs, with simple and comprehensible analytics about everything that happens inside your elearning environment. It offers strong support for SCORM & TinCan (xAPI), notifications, course selling, video-conferencing, gamification, extensible user profiles and more features than you can imagine. Plus, the web app is built from scratch to work with responsive design in mind to look awesome on all devices; native iOS and Android apps take this to a whole new level, with mobile-specific feature sets. 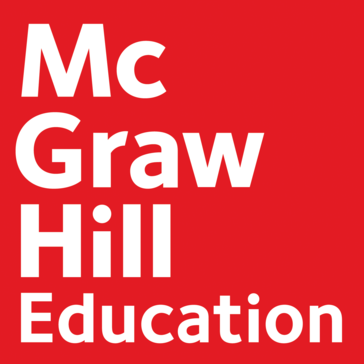 McGraw-Hill Education Connect is a robust toolkit of learning resources designed with the flexibility instructors need, to unlock the potential of a diverse student population. Connect provides opportunities for both formative and summative assessment. Our adaptive technology provides students with a safe place to make mistakes encouraging deliberate practice and enabling them to move one step closer to mastery. Litmos is an award winning learning management system & the most user-friendly LMS in the world. Litmos enables the rapid creation of web based courses & easy distribution to learners on Mac, PC, iPhone, iPad & Android. Easily create learning courses in minutes. 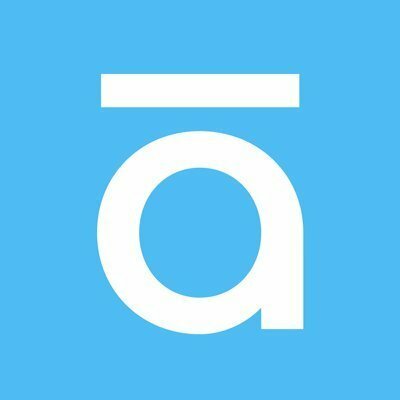 Litmos is the future of learning! Schoology is the education technology company putting collaboration at the heart of the learning experience. Schoology’s education cloud connects the people, content, and systems that fuel education, and provides all the tools needed to personalize education and improve student outcomes. 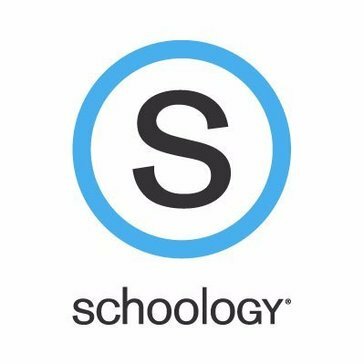 Millions of people from 60,000 K-12 schools and universities around the world use Schoology to transform how they teach and learn. Moodle is a modular system based on plugins, which are like lego blocks that you put together to build whatever you want. There are plugins for different kinds of content, and plugins for all kinds of collaborative activities, which is where Moodle really shines. As an example our Workshop plugin manages a full peer assessment process, so you can get hundreds of students accurately grading each other’s assignments. Add some tracking and reports and the ability to add more plugins from the community or even ones you write yourself, and you can build some pretty amazing education environments. Brightspace is helping to transform the way the world learns. The user experience makes it easy for instructors to design courses, create content, and grade assignments. That gives them more time to focus on what really matters: teaching and learning. Instructors can teach the way they want to teach. There’s support for inline collaboration and rich multimedia. And they can even customize content, assessments, or the interface itself. Built-in analytics reports help you track and understand performance for departments, courses, or individuals. These can be used to tailor each learner’s experience to fit their needs and goals. 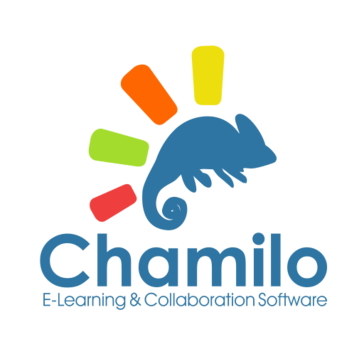 Chamilo is a Free Software (Open Source) e-learning management system (LMS) focused on ease of use and speed. It offers a broad spectrum of features including SCORM support, complex exams configurations, certificates generation, skills management, courses catalogue and shopping cart to sell the courses you produce straight away. It has proven use cases with more than 700,000 registered learners and more than 3,000 simultaneous connected learners. Cloud-compatible, high-availability capability and fast security flaws resolution. Latitude Learning is an award-winning Channel LMS. Our proven learning workflow methodology and performance approach supports the success of a channel training program. Our approach goes beyond any tool. Channel Executives and Training Managers look to Latitude when they struggle to manage training across hundreds of locations or want to include performance metrics in their certification programs. End your frustration with using multiple LMSs to manage training. Latitude’s feature rich, enterprise LMS is offered at a budget friendly price and can be tailored to your unique training needs. Thought Industries is one of the world’s fastest-growing online learning companies and is helping everyone from small businesses to Fortune 500s change how they build, deploy and grow profitable and scalable online learning businesses. Today, more than 100+ customers and brands are using the Thought Industries Learning Business Platform to transform the way they reach, teach, and engage audiences. WizIQ LMS provides a complete solution to tutors, institutes and organizations to deliver live online classes and launch self-paced courses. WizIQ is easy-to-use, affordable and gives the freedom to learners to access the courses from any location and device. With WizIQ, businesses can launch their own custom-branded learning/training portal with features such as virtual classroom, course builder, tests and assessment builder, customized mobile application, eCommerce and reports. Teachers can create embedded, multimedia-rich lessons with a few simple clicks, and gauge student learning using a variety of formative, summative, and authentic assessments. Monitor student mastery against standards with our SBG Gradebook, and use our analytics dashboards to easily spot trends and make informed decisions about next steps with students. Throughout the year, teachers can add valuable time back into their schedule with a paperless workflow for collecting, grading, and returning assignments. 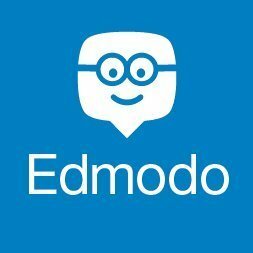 Moodlerooms is an education technology company dedicated to bringing excellent online teaching to institutions across the globe. When employees need answers, they don’t read a manual or click through a course. They search the web, or ask someone. In that moment, they need a resource not a course. 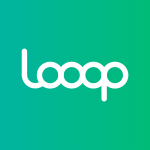 Looop is the only tool that helps you rapidly deliver context-rich resources on demand so that employees can apply their learning right away. Visit our website for a demo to see why progressive companies like ASOS, Sky, Startupbootcamp & Discovery Channel choose Looop’s Learning Resource Platform over a traditional LMS. BirdDogHR provides learning management system, succession planning, collaboration, onboarding, performance management, recruitment and applicant tracking modules. As a leader in delivering easy-to-use recruiting software and services, the BirdDogHR proven cloud-based solution drives candidate flow, shortens time to hire, centralizes communication, and reduces your cost of recruiting. BirdDogHR clients span all industries with an emphasis on construction, engineering and supply. The platform consists of simple to use online editor to create customized courses by importing existing documents, videos or linking external resources. The platform allows to create assessment and certification programs which can be taken from anywhere, anytime using a web browser or native iPad/Android app. The system tracks all activities and provides dynamic reporting. EduBrite is integrated with other enterprise products like Atlassian Confluence, Google Apps, Yammer, WebEx and Citrix. 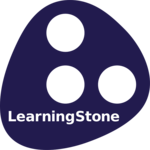 Learning Stone offers training professionals an instant platform for training and coaching. With its easy-to-use course timeline, storage, calendaring, social wall and other collaboration features, you’ll be able to start in no time. With features like progress tracking, conditional content, self grading tests and lots more you can create advanced environments built to save time and add value. Choose a free-for-ever plan for one course group (no credit card needed) to give it a test run now! MindScroll is a new age digital learning platform enabling small and mid size businesses to create, sell and deliver online courses in minutes. 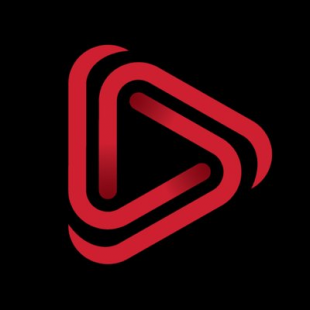 With integrated course catalogue, payment gateway, content delivery and assessment engine, MindScroll provide end-to-end digital learning solution to businesses. With Simple, intuitive and responsive UI, Mindscroll LMS is truly mobile first and delivers learning at the point of and on-demand via all devices including mobile and tablets. Totara provides powerful award-winning learning and social platforms for the enterprise. We’re different because we’re Open Source. This means no vendor lock in and the freedom to innovate. Clients include Sony, Samsung, Sky, Kia, easyJet and JetBlue Airways. They and over 1000 more benefit from feature rich LMS and social learning platforms, for less, with freedom to customise and innovate. Over 90 Totara Partners provide implementation, customisation and global support. A full featured LMS with a learner-first approach that empowers you to setup, deliver, and track learning all by yourself. Maximize learning impact by developing skill-based learning programs. Foster a learning culture using gamification and mobile learning. Play all kinds of content seamlessly with our Fluidic Player, that also allows note-taking to facilitate revision. Highly configurable enterprise learning management solution that will enable you deliver, track and report on accredited and non-accredited training. Learners love how easy it is to find training materials through online management system, book on courses and submit course requests to managers for approval. Managers can easily process staff training requests, track workforce capability and identifying gaps in organisational training requirements. NEO is a world class, award winning LMS for use by schools and universities. The platform is known for its easy-to-use and beautiful user interface, comprehensive set of innovative features, and pricing that provides great value for money. With NEO its easy to create great classes that students will enjoy anytime, everywhere. 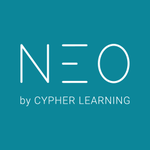 NEO is a product of CYPHER LEARNING, which also provides the similar MATRIX LMS, for use by businesses. BizLibrary is a leading provider of online employee training solutions. Our award-winning online training library contains more than 6,000 micro-video lessons, video courses, interactive videos, and elearning courses covering a wide variety of topic areas and includes additional support materials to further increase learning retention. Thinkific is an all-in-one online course platform that empowers anyone to quickly create and deliver stunning courses on their own branded site. Whether your goal is to educate your customers, to sell courses to earn revenue or to simply grow your brand and engage your audience, Thinkific makes it easy. Join thousands of consultants, experts, authors, speakers, trainers, teachers, coaches, professional associations, and companies, and start selling courses on Thinkific today. ProProfs Online Learning Management System is a simple, affordable and integrated SaaS learning management system for online training and education. It is an all-in-one software which includes online course & assessments creator, feedback tools such as online survey & poll software and even learning aids such as a flashcards maker. ProProfs LMS software provides a complete elearning and online training solution for educators, trainers, educational institutions and enterprises as well. MATRIX is a world class, award winning LMS for use by businesses. The platform is known for its easy-to-use and beautiful user interface, comprehensive set of innovative features, and pricing that provides great value for money. With MATRIX its easy to create great courses that learners will enjoy anytime, everywhere. MATRIX is a product of CYPHER LEARNING, which also provides a similar LMS for use by schools and universities called NEO. Schoox is a social learning platform with very powerful, easy-to-use tools for content and knowledge sharing, course creation and training, collaboration and content monetization. In the era of social media and peer contribution the workforce culture has changed. Traditional learning management solutions cant catch up with the ever-changing landscape. Schoox offers the most powerful modern learning and knowledge management system. 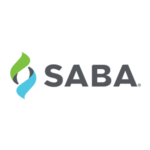 Saba Learning unifies Saba’s secure and scalable Learning Management System (LMS) with virtual classroom, assessment, social, collaborative, mobile, and intelligent capabilities on a single platform. Deployed by thousands of customers of all sizes, Saba Learning is the foundation for many of the worlds most dynamic and successful learning programs. Grovo is an all-in-one microlearning solution that combines smart, intuitive technology with a world-class microlearning library. We make it easy for organizations of any size to create and deliver actionable, engaging, and relevant learning experiences, right when employees need them. Established in 2010, Grovo helps hundreds of forward-thinking organizations like PepsiCo, InterContinental Hotels Group, Magellan Health, and the NBA give their employees the skills to perform their best. The BlueVolt Learning Management System (LMS) is for the extended enterprise, delivering training across your company, suppliers, sales channels, associations, and customers. Sell your courses or train your employees; on site, online, within minutes. Build your courses without the expected hassle and start sharing your expertise. Yes, it is that simple. 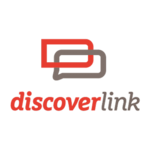 DiscoverLink Talent is an employee development solution optimized for the hospitality industry. This user-friendly system brings together a restaurant learning management system (LMS), performance management, insightful talent quality metrics, and our industry-leading training content into a single, integrated mobile-friendly platform. ScriptoPro is a web-based test maker that allows educators and trainers to develop and deliver tests and quizzes online, as well as track and report the progress of their learners through an engaging and intuitive interface. Customization options allow users to have immediate access to their quiz scores as well as explanations to responses. ScriptoPro also includes additional tools such as a survey maker, poll generator, flashcard maker, course calendar, gradebook, certificate generator. Our Learning and Development System helps grow, upskill and engage your employees. LearnerNation is a performance optimization platform that drives employee engagement, KPIs, and revenue performance. The team at LearnerNation works with over 250,000 individuals in 2300 organizations including Fortune 500’s such as MasterCard, LG, Liberty Mutual, Pacific Gas & Electric, and luxury brands such as Cartier, Chopard, and Celebrity Cruise Lines. With a unique specialization in team performance optimization, LearnerNation helps develop better people and teams. Exceed is a hosted Learning Management System (LMS) that simplifies learning management without sacrificing functionality. In addition to support for AICC and SCORM web-based courseware, Exceed manages instructor-led training sessions with ease. Exceed can help your organization automate training management with auto-enrollments, letter triggers, certification tracking with expirations, and much more. Intellum also offers custom courseware creation services and ready-made courseware. 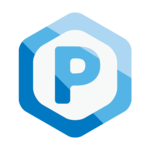 PiiQ by Cornerstone, formerly Cornerstone Growth Edition, is a cloud-based employee performance and learning management system that helps businesses to streamline their employee performance review process and prioritize learning for employees. Businesses can create goals, track employee performance and align individual goal to business objectives. 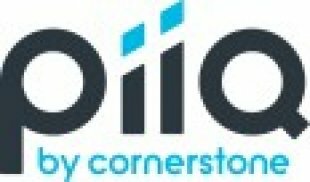 PiiQ’s dashboards, reports, and graphs allow users to review data and identify top performers, under performers, skill gaps, support compensation and succession planning efforts. PiiQ also provides managers with practical tips and guidance in real-time to help develop their employees. Docebo has provided LMS software to power training programs for employees, partners, and customers. Typical customer needs include onboarding, sales enablement, partner channel enablement, turnover reduction and compliance training. Docebo scales as elearning projects grow over time, and is powered by features and applications that can be enabled or disabled based on the company’s needs. Users can deliver content, manage training, track certifications, and reward learners through the platform. Privacy settings allow users to grant specific permissions while protecting different customers. Businesses have unlimited storage, bandwidth and users. The system can be integrated with third party software as well. 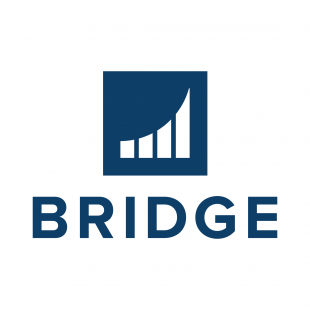 Bridge is a web-based Learning Management Solution and Employee Engagement Platform that can meet the needs of companies in any vertical. It grants learners and course creators accessibility to content from mobile devices through a browser on any Internet-connected device. With Bridge, learning paths and course offerings can be customized to individual user profiles. The system also offers the ability for users to stop in the middle of courses and start back in the same spot, even if they’re accessing the system from a different device. eSSential LMS is a learning management system designed for large and midsize businesses. The system can be deployed on-premise and through a cloud-based software-as-a-service platform. Both deployment methods include access to eSSential LMS’s mobile platform. The system features course authoring, gamification tools and company branding options. Administrators can create training videos to distribute to users through the eSSential LMS. The system also supports game-based learning. eLogic offers course development services to either build a custom course or repurpose existing training materials, including help with crafting, scripting and directing training videos. Wisetail LMS is a cloud-based learning management system (LMS) that helps users prepare training materials, course content and demo videos for employees and other students. The solution provides a built-in course-authoring tool for users to create online course content. The application provides a social learning platform where students can discuss course content, online tutorials and training videos with their peers in an open forum. Wisetail LMS offers a fully customizable user interface where users can set up their own templates for content creation and create tests and quizzes with the test builder tool. Students can rate training courses and provide feedback on a social platform. The solution has an automated messaging feature that directly sends messages to students about upcoming events. eFrontPro is a Learning and Talent Development Platform that helps you supercharge your training and make your talent thrive! Along with certification management, content authoring functionality and social learning capabilities, eFront also allows for learning monitoring and performance tracking and integrates with OpenSesame for purchasing of pre-made training courses. The platform is SCORM and xAPI compliant, features content management and has blended learning capabilities to manage learning administration and progress both online and offline. Gamification is built-in, and learning paths can be set and customized for each individual learner. Cornerstone OnDemand is a cloud-based performance management solution. It enables users to recruit talent, customize learning initiatives, generate compliance reports, prepare high performers for succession and more. Cornerstone can also be integrated with a variety of HRMS/HRIS and ERP solutions. Users can track applicants to identify their best sources of talent, initiate and automate the hiring process, manage interviews and customize onboarding plans. 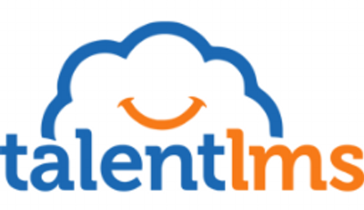 PeopleFluent LMS is a web-based learning management system best suited for midsize and large organizations. It features content management, skills and compliance management, social learning, reports and e-commerce. PeopleFluent LMS has a built-in Web authoring tool, assessment engine and advanced content management capabilities. Users can import, publish and track SCORM and AICC compliant courses and deliver it to learners. This solution also provides around 90 predefined reports with options to customize and view them in HTML and export to PDF files. PeopleFluent LMS can also track data for jobs, training activity, employee progress, resource utilization, skills, compliance, cost and more. Torch LMS is a cloud-based, best-of-breed learning management system (LMS). It’s best suited for businesses and nonprofit organizations with over 500 employees that are looking to manage, track and deliver training to employees or affiliates. The solution offers a tiled user interface and United States-based team of experts. Trainers and administrators can access a dashboard to get a glimpse of employee training progress while employees can log on to see all of their training requirements in one place. Social learning functionality allows trainees to interact and discuss training with each other in the system, while mobile learning ensures anyone can access Torch LMS on a computer, tablet or phone to continue development outside of the office. Accord LMS supports online courses, instructor-led training, certification and compliance management, gamification, and more. HTML5 content authoring, webinars, eCommerce and HRIS synchronization are fully integrated. Drag-and-drop features streamline the organization of learning content into folders and courses for different groups of learners. Resources such as videos, documents and web assets can be presented and tracked as well. Personalized setup includes the choice of colors, branding and layout. Learner UI templates can be customized for your business. High-performance data management supports clients with over 200,000 learners and 25,000 learning elements. Enterprise clients can take advantage of built-in website management and multi-tenant features to deploy any number of employee, customer and channel partner portals. SAP SuccessFactors Learning, combines social learning, learning analysis and content management as part of the learning management module. One feature, SAP SuccessFactors iContent, or “content-as-a-service,” allows companies to manage digital learning materials, including course materials, training videos and presentations. It also comes with the Jam social collaboration tool built in. With Jam, employees can create training materials, record videos, and share content, ideas, or discussion topics throughout the organization. 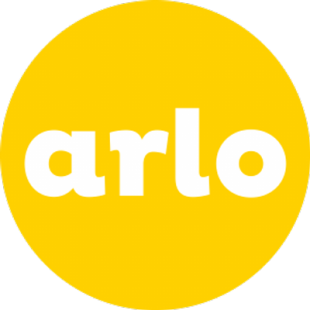 Arlo is a cloud-based training and event management platform designed to help users promote, sell and deliver courses and events. Arlo helps users automate manual processes by providing scheduling, automatic communication, custom reporting, payments and invoicing. Users can keep client records updated within Arlo’s customer relationship management (CRM) module. Courses and events are managed within the Arlo platform and online registration can be configured with customisable registration forms. 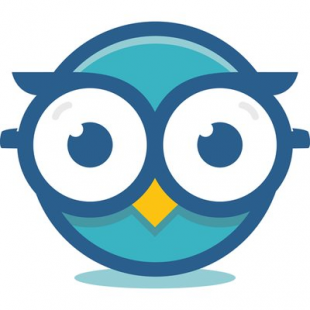 Arlo’s integration with Moodle LMS lets users manage face-to-face, online, self-paced and blended learning. This allows users to include quizzes, SCORM objects, forums, videos, and other online activities within training. Users have visibility and reporting on your registrants in one place with Arlo. Classe365 is a cloud-based learning management system (LMS) and student information system (SIS) suitable for educational institutions. The software helps educators manage their students and course content and offers blended learning tools, discussion platforms and more. Classe365’s pre-admission processes allows students to register for classes digitally. Customer relationship management tools include a click-to-call tool and scheduling email follow-ups. Finance and accounting features let users manage grants and scholarships, and analytics reports include student behavior and grades. LMS features include self-paced courses, quizzes and tests, video classrooms and discussion forums. 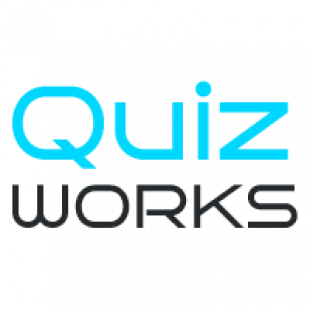 Quizworks is a cloud-based learning management solution (LMS) that is suitable for businesses of all sizes. It allows users to create lessons and courses that integrate interactive elements such as quizzes, tests, images and videos. It includes features for building courses, creating exams, making assessments, developing quizzes, adding content elements (e.g., interactive elements as well as text), embedding courses on a website and branding. It allows users to build an unlimited number of courses. Some of its benefits are self-registration, the ability to switch between multiple devices (desktop to mobile to tablet), self-paced learning and the functionality to embed the courses to students’ own platform. Velpic is a cloud-based learning management system (LMS) that offers features for workplace training, onboarding and knowledge sharing. It is suitable for various industries including human resources, learning and development, compliance, nonprofit, government and IT. Key features include video editing, employee portal, web-app login, 360 degree video VR lessons and automation. Velpic allows users to create video lessons via a built-in editor with text, audio, video, images and transitions. Organizations can manage and upload existing user lists or add users automatically through single sign-on (SSO) integration. Users can access lessons through mobile apps to watch and learn from training sessions. 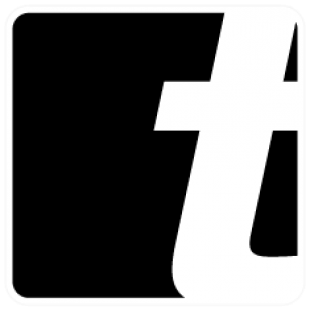 TOPYX is a learning management system (LMS) that features social learning tools that make the most of the increasingly critical online learning environment. It provides organizations with access to a collaborative, flexible solution that brings together formal training with informal learning. With its collaborative, interactive interface, TOPYX offers on-boarding, learning management, competency management and performance reviews, as well as reporting. In addition to content management, administrators can monitor site activity and user performance in real time. They can also leverage social media sites such as Facebook and Twitter to encourage a more organic, learner-driven community. There’s also optional e-commerce, language packs and virtual classrooms. LearnCore is a cloud-based interactive learning platform designed to give companies an application for creating and deploying training programs to their teams. This cloud-based application incorporates learning methodologies from trusted professional services like Kaplan and Pearson. The hub of LearnCore is centered around their course creation tools. Users can build custom courses, integrate training content already available within the organization and upload content from other sources. Department heads can then measure the effectiveness of their training program with LearnCore’s automatically scored tests. There are different testing formats to choose from and control settings for time limits and passing grades. eLeaP is a configurable, cloud-based learning management system (LMS) that’s designed to help organizations improve team performance, reduce overhead and strengthen organizational compliance. The eLeaP training courses are designed to make the user experience interactive and enjoyable. The software features advanced tools that include quizzes, certificates, forums, discussion groups and surveys, as well as API’s, single sign-on, and enterprise management features. There’s also a tracking and reporting module that helps administrators collect and monitor every employee’s progress. With Mindflash, users can create courses, add quizzes and track results. They can upload PowerPoint, Word, PDF, SCORM or video files and create online courses that can be taken on any computer or mobile device. Progress can be tracked in real-time through automated quiz scoring. In Mindflash, users can also manage large-scale training programs by grouping them together in categories, such as “missed deadline” or “gold partners.” The system provides reporting tools and can generate reports by group, course, quiz, question or learner. Mindflash offers unlimited content support, mobile management, branded training and unlimited customer support. It is built to support large-scale training programs. The system can integrate with Salesforce. Inquisiq R4 combines content, course development and training delivery in a single platform. It offers a full suite of customizable features. 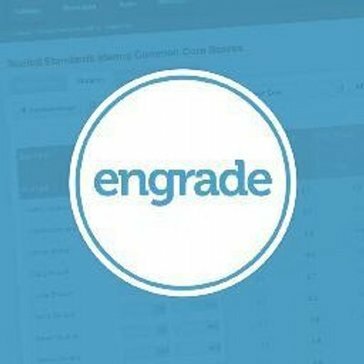 Users can automate everything from course enrollments to group assignments and permissions. Email reminder notifications keep the learner, administrator and supervisor in the loop on course progress. The home screen provides at-a-glance access to account information, history, calendars and coursework. The blended learning structure combines online courses, those with live instructors and outside training events. Scheduled reports will run automatically with emailed results. 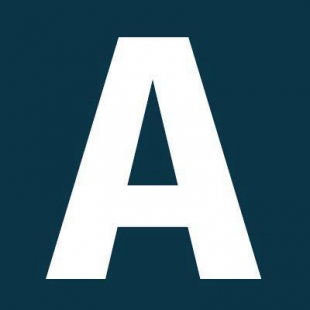 Administrate is a cloud-based learning management system (LMS) designed for businesses of all sizes. Key features include learning management, SCORM compliance, mobile learning and certification management. Administrate features a portal that allows trainers to build their courses using default templates. The portal also allows trainers to deliver different types of training material such as videos, PDFs and Word documents and conduct virtual classroom sessions. The solution also features a student portal, which allows students to view their learning tracks and events by signing into the portal. 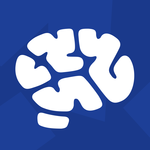 BrainCert E-Learning Platform is a cloud-based content building and training solution suitable for content designers and training instructors. The solution offers comprehensive tools for designing courses, online tests, surveys and live classes. 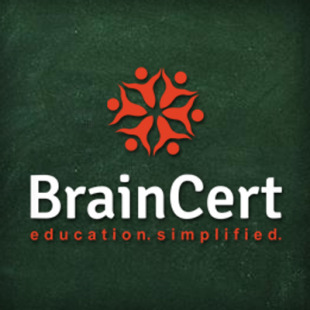 BrainCert allows instructors to embed different kinds of content such as documents, images, videos, HTML and SCORM into their online courses to improve the look and feel of their course material. Instructors can then invite participants and prospective students by sharing the content link via email or posting the invitation link on social media platforms. ePath Learning ASAP is a cloud-based learning management tool that helps organizations manage their training processes and monitor employee performance. The learning management system provides trainers with the ability to administer courses, track employee progress, and report on the success of various learning initiatives. The ASAP platform includes a learning environment that is based on hierarchies and contains detailed reporting options. ePath Learning ASAP administration interface allows trainers to add or remove users, establish privileges, run management reports, schedule classes, track attendance, create and store tests and quizzes, and save evaluations. ASAP’s course development tool allows trainers to create, convert, and modify courses and prepare training materials in an online format. The LMS platform includes a social module called eSource where users can gain access to a real-time, private, and secure social collaboration tool. Lessonly is a cloud-based learning management system that allows users to build, share and track training materials and activity from a singular interface. It is primarily used by customer service teams, sales teams, and human resources. Lessonly is compatible with mobile devices and tablets, making the system accessible on-the-go. Lessonly can be customized to match a company’s look by incorpating their logo, colors, and a personalized URL. Users can create unlimited courses and lessons, utlizing text, images, audio, video, and more. Adding individual learners and groups to specific assignments can be achieved with just a few mouse clicks; through a due date feature, notifications are sent by email to ensure courses are completed in time. 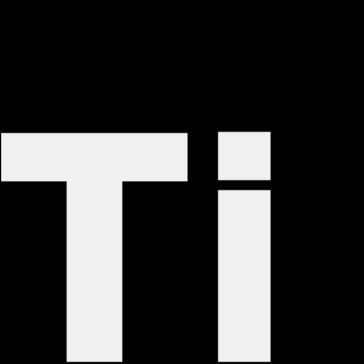 Intuo is a Web-based learning management system (LMS) built to serve a variety of B2B needs, from company academies to trade associations seeking to train stakeholders. Reporting tools allow users to track the growth of their company’s skills, while Intuo’s user-friendly interface makes it a popular choice for a variety of industries, such as finance, health care and transportation. Detailed, real-time reporting allows employers to maximize their company’s learning ROI and tailor trainings to meet employees’ needs. A streamlined dashboard provides an overview of team performance, identifies top performers and pinpoints knowledge gaps. 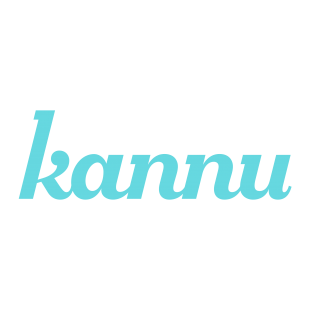 Intuo also supports certification and compliance management, is SCORM-compliant and features extended enterprise functionality to train external parties. Mobile learning functionality also allows users to train away from their desk. LearnUpon is a modern cloud-based LMS that allows organizations to quickly and easily train their employees, partners and customers. Courses can be created using materials in a variety of digital formats—Word documents, PDFs, PowerPoint and Prezi presentations, video, SCORM and Tin Can course content, to name a few—and combined with online exams and quizzes to test learning retention. Groups can be created to manage enrollments by department, job role, location and more, while defined user roles ensure that those who have access to LearnUpon only see what they’re meant to see. 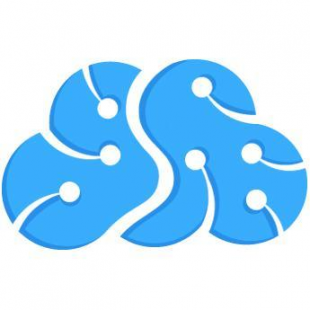 Skilljar is a cloud-based learning management system (LMS) product. It can be used to train customers, partners, contractors and new employees. 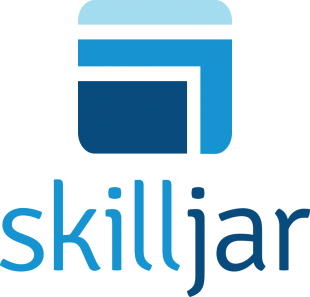 Skilljar lets users offer courses from their own domain or from Skilljar’s, and offers customizable course pages that can include the user’s branding. Courses can include video, audio and live, instructor-led training. User applications can be embedded via cloud in the system, so that customers can train with them. The product also includes the option for the users to sell their course (or offer it for free) via a built-in e-commerce module, which enables direct deposit into the user’s account and corporate invoicing for customers wishing to send payment through a company. 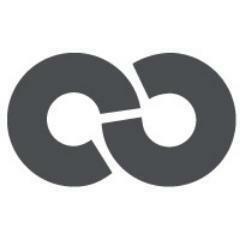 DigitalChalk is Learning Management Software that is centralized and has regulatory and compliance tools built in. The system offers mobile learning and SCORM compliance. With the platform users can track student progress and incorporate secure online tests and assignments. DigitalChalk has a quick registration process, provides on-the-go training and is accessible on iPad’s and Tablets. The online courses are interactive with HD streaming videos and the ability to attach documents of any file type. The built-in HTML editor allows users to create online slides. Users also have the ability to add audio and synchronize PowerPoint slides. 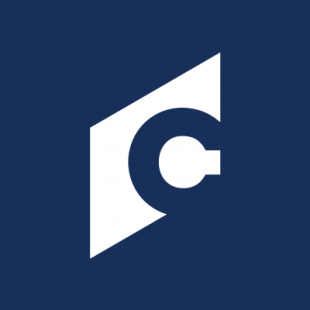 Configio is a membership management systemthat provides a way for businesses to build their own curriculum for online courses. The program includes exams, chapters, assignments, and syllabi within a web-based format accessible from any connected device via any web browser. 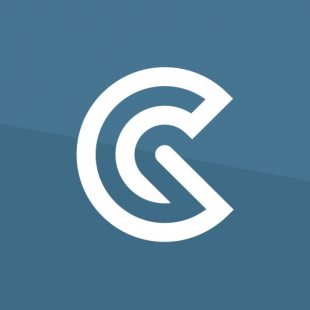 With Configio, each user is able to access course content through task lists, surveys, and interactive videos, among other formats. Both learners and instructors are reminded about overdue course items and exams, and the system can also require specific courses to be completed before more advanced sections are unlocked. Travitor features a dashboard that presents new employees with training completion statistics alongside intelligent to-dos. Users can embed videos and quiz questions throughout the training courses they design to deliver an engaging learning environment. In-person and online learning events can be scheduled within Travitor. It can also generate interactive graphs so that users can view organization-wide training progress at a glance. The platform also features a unified inbox for viewing messages from employees in courses or attending events. 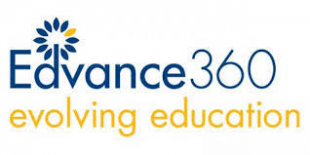 Edvance360 Learning Management Software is an internet-based learning management system that provides online learning programs for K-12, higher education, and corporate training departments. The system features online lesson management, progress tracking, online certificate generation, as well a secure internal social network. Admin features include homepage personalization, allowing for progress tracking for students other departments. The included course building wizard, Lite Wizard, allows admin users to interact, create courses and update testing materials in real-time. Admins can also set up automated reminders and messages to communicate with users, and create and share events by utilizing the internal calendar feature. 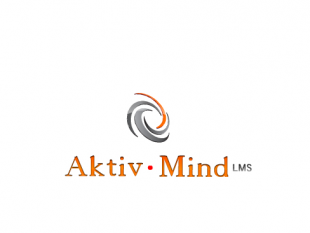 Aktiv Mind LMS is a learning management system (LMS) for businesses of all sizes and industries. The application is cloud-based and is designed to work on desktop and mobile devices. Key features include course and assessment creation, content import tools and report generation. Users can create quizzes using multiple question types. 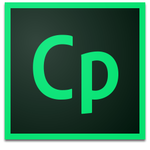 YouTube videos, PDFs, Word and Excel files may be embedded into courses. Test takers can view answers and full solutions to questions once an assessment is complete. Certificates for trainees are generated upon test completion. Aktiv Mind LMS supports in-course annotations on uploaded content, and existing LMS content can be transferred to the Aktiv Mind LMS system. Convergence LMS is a learning management solution designed for the needs of manufacturing and industrial facilities. The solution can be deployed both on-premise or in the cloud and is suitable for businesses of all sizes. The key features of the solution include asynchronous and synchronous learning, blended learning, classroom management, skills tracking and certification management. Convergence LMS allows users to map their employees to suitable departments, sites or teams. Users can import employee data from Excel templates and also sync employee data from human resources systems. The scheduling engine enables users to configure recurring training and compliance deadlines. CourseGenius is a cloud-based online training solution that enables users to create interactive courses, which can be sold, delivered and tracked. It is suitable for businesses of all sizes and can be used to train employees and sell user-authored course content. Key features include content management, course publishing, interactive content, template management, video management and storyboarding. Drag-and-drop course authoring tools allow users to develop training material using their existing training information. Users can also add pictures and videos to their courses. Integrated e-commerce tools enable users to sell their online courses. Courses can be scaled to suit desktop computers, tablets and mobile devices. In addition, users can track sales, feedback and learner progress in real time. SmarterU is a cloud-based training course design and learning management system (LMS) for organizations of all sizes. The solution offers a wide library of video courses which can be used to train professionals in multiple sectors including human resources, finance, health and information technology. SmarterU includes a custom branded portal for learners to complete training courses and earn certification through a single interface. Learners can also view summaries of their monthly engagement, enrollments, action by status and certification through a dashboard. The solution is able to support more than 10 languages. SmarterU allows users to create interactive courses by adding graphics, videos, links, tables, powerpoint and PDF files. It offers dashboards for various user types including administrator, supervisor, instructor, course admin, executive, enroller and e-commerce management. 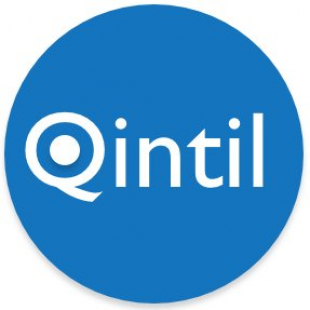 Qintil is a cloud-based learning management system (LMS) designed for companies of all sizes that offers content authoring, social learning, mobile learning and course library functionalities within a suite. The solution is best suited to the needs of health care, hospitality, construction, finance and accounting industries. The solution features automated compliance training and workforce training which enables users to stay compliant with Continuing Professional Development (CPD) regulations. Qintil also features learner management, which allows users to add any number of students to the LMS. With the help of automatic record keeping, users can keep a track of all their CPD records including conferences, courses, journals and workshops. Templates can be customized with company logos. A guide builder feature helps users create and edit training guides. Managers can also add process manuals and training videos in their course content. Written and multiple-choice tests and employee surveys can be conducted at the end of a training session. The WorkRamp dashboard lists all employee tasks and sends reminders to complete pending assignments. An analytics interface enables managers to view and assess training data. 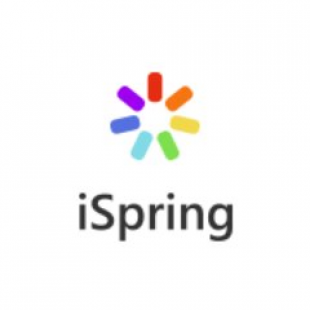 iSpring Learn is a cloud-based e-learning platform that allows companies to host their content, share courses and quizzes and track participants’ results. It is well suited for large enterprises. Users can create interactive e-learning courses using PowerPoint. Users can publish those e-courses on the iSpring LMS website. Users can get an overview of their account from the dashboard, which includes new and popular content, active users and groups, among other information. iSpring supports content including quizzes, simulations, SCORM packages, Flash, video and audio. The user management system lets administrators set user roles and access levels. The reporting system provides information on each learner’s progress. A learning path feature allows users to create a course by combining multiple lessons or content items. They can set the order of lessons, completion rules for each lesson and other parameters. iSpring offers an e-commerce option if users wish to sell courses they have authored. 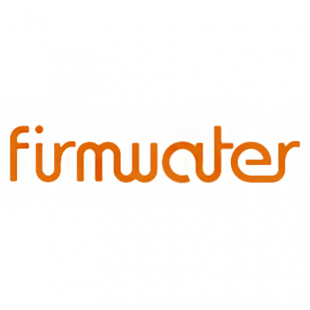 Firmwater is a cloud-based learning management system (LMS) that is specifically designed for training companies. It allows training companies to organize, distribute, track and report on their content across clients. Users can manage multiple clients from a single interface and set up clients with the necessary library access, branding, settings and content. Firmwater also enables users to design online stores to sell courses. Clients can have multiple selling models including individual courses, course packages or memberships. It is able to support single seat (B2C) and multiple seat (B2B) purchase scenarios. Iridize is a cloud-based learning management system (LMS), which is suitable for businesses of any size. Key features include behavior-responsive messaging, activity tracking, employee targeting by role, A/B testing and audit trails. Iridize allows users to create custom guides and walkthroughs to meet the needs of employee training. Each walkthrough can be a combination of multiple elements including video, images and text. 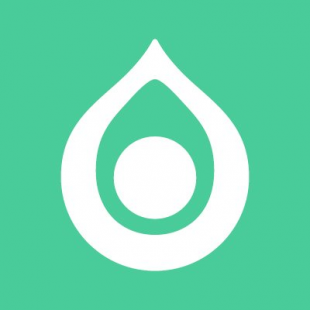 It also assists with the onboarding process with the help of custom guides. 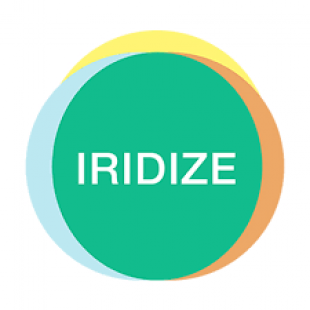 Iridize allows users to work together with colleagues on reviews and edits, and they can build build custom guides. 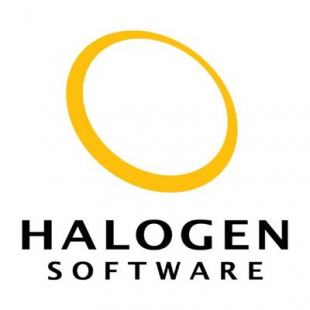 Halogen TalentSpace is a modular strategic talent management solution suitable for midsize and enterprise businesses. The integrated suite offers comprehensive tools to streamline talent management activities, including recruiting, onboarding, succession, learning & development and compensation management. Halogen’s learning & development module helps in designing interactive training programs and organizing employee training sessions. The succession and leadership module helps to assess the potential of existing employees and to identify suitable talents that should be promoted basis their previous performance. The built-in performance management module helps in identifying skill gaps within the employees and listing key training requirements. PeopleMatter is a cloud-based talent and workforce management solution built for restaurants, hospitality, retail and service-industry companies. The solution enables businesses to manage critical aspects of the employee lifecycle by ensuring compliance in hiring, consistency of training and accuracy in scheduling. The integrated suite comprises of three main modules—PeopleMatter HIRE, LEARN and SCHEDULE. PeopleMatter HIRE automates recruiting, applicant tracking, employment screening and onboarding processes in one centralized software system. 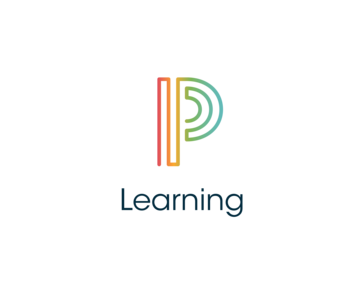 PeopleMatter LEARN is a learning management system that allows companies to create training courses, assign content to employees and track progress and comprehension. PeopleMatter SCHEDULE optimizes employee scheduling by allowing managers to control labor costs, while creating schedules that are compliant with labor laws, company policies and employee preferences. Absorb LMS is a cloud-based solution suitable for organizations in any industry. Key features include learning management automation, progress tracking and reporting. Absorb LMS offers a custom-branded learner interface and administrative tools that enable users to build a training experience for their learners. The learning management system (LMS) can be automated with custom rules and scheduling. Absorb LMS clients can utilize e-commerce solutions and include discounts and preferred pricing to specific audiences. The solution also includes reporting capabilities and allows users to create ad hoc dashboards. Traineaze is an online learning platform for SMBs delivering training to employees, customers, and partners. The system allows users to create courses, assign training, reward course completion, and track learner progress in real-time. Traineze allows users to upload their existing content to create courses, with support for video, audio clips, images, PowerPoint presentation, PDFs, and more. SCORM compatibility enables course import from third party tools and sources, and all training materials, emails, and notifications can be customized to match company branding. Surveys and quizzes can be created and used to assess learner comprehension of courses and gather feedback. When learners have completed courses, they can be awarded certificates and skill ranks. Articulate Storyline 2 is designed to make it easy to create any interactive e-learning a user can imagine. The vendor’s value proposition is that it’s simple enough for beginners yet powerful enough for experts. Articulate Storyline 2 is sold as a perpetual license. 360Learning LMS is a cloud-based learning management system suitable for organizations of all sizes in any industry. It offers administrator monitoring tools, trainee tracking and reports, customizable course content and automated alerts. 360Learning LMS provides 7 built-in question types and offers an open API to let users build custom question types. For written responses, trainees can either type in their answers or upload a document. Trainers will receive alerts when questions are completed and trainees are alerted when corrections are made. Correction templates help trainers correct multiple free-form answers and personalize comments. 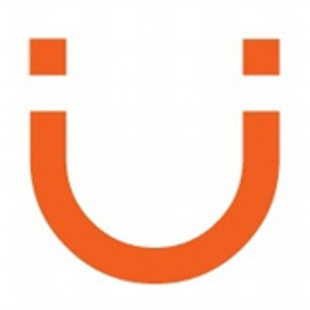 Udutu Guru is a cloud-based learning management system (LMS) that helps companies and individual users create online courses. The software allows users to send training materials to learners and monitor their performance and is suitable for small and midsize organizations. Udutu Guru has a content management system that allows users to create their own customized templates or use predefined templates from a content library. Udutu Guru provides a credit-based system with each credit providing learners unlimited access to a single online course. The dashboard feature helps administrators and teachers track learner progress and the number of courses completed. It users to store assessment sheets, answer keys and training guides. 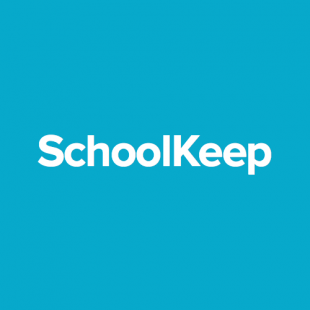 SchoolKeep is a cloud-based learning management platform that helps companies direct their internal, customer, and channel partner training processes. 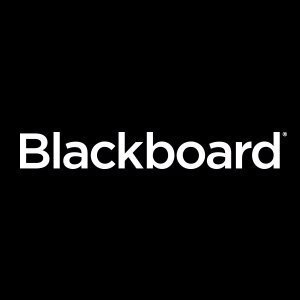 SchoolKeep’s online course creation feature allows users to develop self-paced courses, embed surveys, assignments, and other forms of multimedia, and develop discussion boards and quizzes. Businesses can brand every element of their online training courses via the software’s white-labeling options and site editor. The reporting module allows trainers to see the progress of each learner, gain access to sales data reporting, and see what they can do to improve the content of their curricula, and teams of trainers and learners can be managed within the same platform. In addition, the eCommerce tool helps users promote lessons to internal teams and sell training content. Glisser is an enterprise Software-as-a-Service solution that engages audiences and gathers valuable data from live and virtual events and meetings. It does this by sharing presentation slides to audience smart-devices, and allowing them to participate and feedback electronically. It enables organisations to connect their face-to-face communication efforts into their marketing and management databases. It incorporates live presentation slide sharing to audience devices, audience response systems, live polling, Twitter feeds and other audience interaction. It can be used by both individual speakers, as well as event organisers, to make presentations more engaging and collect valuable data. Easygenerator is a cloud-based course authoring and eLearning software which allows users to create, design, publish, and track courses for education and training. The system is designed for use across businesses, educational institutions, nonprofit organizations, and governments, and offers a WYSIWYG interface, allowing users to create and design custom courses with no coding required. With Easygenerator, users can embed a range of media in their courses, including their own audio and video files, YouTube videos, and documents stored in Google Drive or SlideShare. Learner performance and progress can be measured through quizzes and assessments, with questions linked to learning objectives. A range of customizable templates are included to simplify course creation, including course, exam, quiz, and adaptive learning templates. Multiple users can co-author courses, and subject matter experts can be invited to review courses without requiring additional logins. eloomi is an LMS (learning management system) and performance management platform that helps simplify skill training and feedback-based performance within organizations of any size, culture and maturity of learning and performance. The platform helps onboarding employees to reach performance goals and optimize skills, and allows managers to employ employee coaching conversations, as well as monitor the performance of the company. eloomi’s learning management features enable users to create learning content using the course builder, assign mandatory training to employees, and carry out surveys and evaluations. The built-in course planner provides online sign-ups, waiting lists, course info, and a course calendar. Social learning features allow users to rate courses, and chat to share knowledge and recommendations. Organizations can gamify their learning content and include a points leaderboard along with engagement trophies. Initiafy is a cloud-based onboarding and training platform which enables businesses to pre-register, approve, and train contractors and temporary employees before their first day on site. With Initiafy, users can create custom online self-registration forms to collect contractor details and required documents, including insurance details, emergency contacts, training records, qualification cards, and RAMS (risk assessments and method statements). Once forms have been submitted, users can verify the details and approve the contractor, after which workers can be added by the contractor administrator. Users can create an unlimited number of online courses and quizzes in Initiafy, both for orientation and training purposes. Courses can be auto-assigned to new hires, and can be set up to be role-specific, site-specific, and available in multiple languages. Courses can include videos, maps, and slides of written information, with learners able to listen to content using the audio auto-reader, and download useful information. Users are automatically notified of expiring documents, and refresher training can be auto-assigned as required. GoToTraining is a web-based training solution, sitting alongside related online apps in the Citrix range, GoToMeeting and GoToWebinar. Catering for both remote and hybrid learning scenarios, the product offers users of all levels an emphasis on engaging session attendees with collaboration features powered by exclusive technology. Hybrid instructor-lead training includes integrated YouTube and Vimeo video sharing alongside the ability to show remote learners a live, real-time image of the class whiteboard. Quickly conduct, quizzes, tests and polls to keep students on their toes and gauge performance or capture feedback. Built-in video conferencing, hand raising and chat tools all help to keep participants connected, while the useful breakout session feature allows smaller class groups to seamlessly splinter off and rejoin the proceedings later. For trainers GoToTraining also simplifies session administration by handling equally important pre and post-class activities. Full-service registration provides secure capture of attendee information with expanded fields and custom questions, while managing payments or refunds via PayPal integration. Promote sessions and encourage participation by sending out email or social media invitations, going on to mail out certifications to successful students after the event. Classes can also be recorded effortlessly and distributed while flexible reporting and analytics put valuable data within reach. Keep track of the numbers on registration conversions, take roll calls and log attendance before breaking down test, poll and evaluation results. 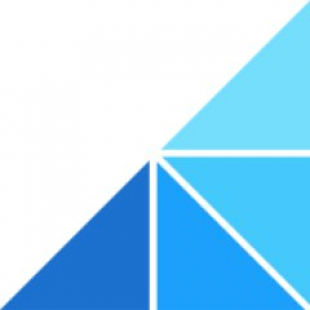 Elucidat’s award winning authoring platform is used by large organizations and training providers to create and manage high quality elearning at scale. Designed with the modern learner at it’s heart, the cloud-based platform helps you multi-device, responsive elearning with powerful interactions to engage your audience. Scale up your elearning efficiently and increase your speed to market with effortless translation, rapid updates and powerful analytics. Plus get access to the expertise and support to ensure your success. FirstNet Learning provides companies with modular, cloud-hosted training centers for creating and delivering employee training and assessments. The custom-branded learning management system (LMS) can be configured to suit each company’s individual needs, and includes modules for managing certifications, webinars, events, resources, policies, media, and more. The classroom management module enables users to create and manage instructor-led events, and capture all of the training delivered. One-off and recurring sessions can be setup, and tools are included for managing instructors, registrations, class sizes, waiting lists, locations, and directions from Google Maps. Other events, such as conferences and seminars, can be created and managed, including session registration, attendee information capture, payment processing, and more. Training can also be administered through webinars, via integration with webinar provider softwares, and recorded for future playback. Certification programs can be setup, with users able to create assessed training tracks for different groups, departments, job roles, or individual employees. Versal is a web-based training and learning management solution designed to meet the requirements of modern schools, higher education facilities, and enterprises. 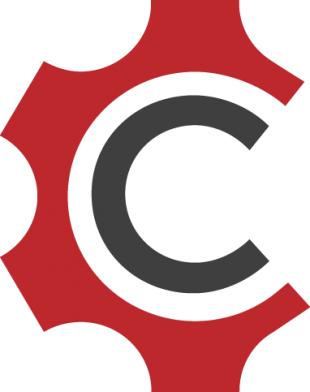 The solution offers a cloud-based customizable learning platform that provides corporate training, product tutorials, sales training, content marketing, and compliance training. 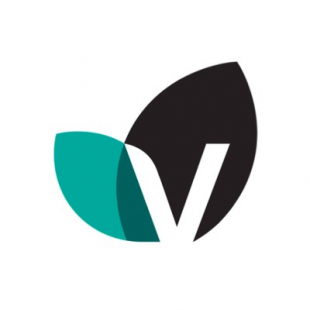 Versal helps institutes design interactive learning content to increase engagement with learners, improve employee retention, raise knowledge levels, and add new skill sets. The solution offers an interactive drag & drop interface to build courses. Trainers can also use images, embed video files or add multiple digital contents to enhance the look and feel of their courses. The software’s multiple-authoring feature helps trainers to work in groups and collaborate effectively to build exhaustive training courses. So there it is…the comprehensive list of some of the most popular Learning Management System Vendors in the market today. How many of you are already using one of these platforms for your business? What was your experience with it? Or do you have any tool or platform that we missed & you want us to include here? Feel free to share your feedback here, we would love to hear from you…! VP of Sales and Marketing @ WhoKnows Inc., 16 years of Enterprise sales experience with a proven track record of creating winning sales strategies and building sales teams.